Downtown Marietta is busily preparing for December’s First Friday, and this month’s event is the perennial favorite Moonlight Madness sale. The evening is sponsored by the Peoples Bank Theater and is a fun, festive way for people to save money while they enjoy holiday shopping. Participating businesses will be open until 11:00 p.m., and nearly twenty shops will be offering discounts. Shoppers will draw a discount ball at the register with surprise savings from 10-50% off their purchase. In addition to the discounts, several restaurants will be offering hot chocolate specials so shoppers can warm up with a tasty holiday drink. Free carriage rides, sponsored by Baker and Baker Jewelers and Jeremiah’s Coffee House, will add even more festivity to the evening. The rides will begin in front of both businesses and run from 7:00 -9:00 p.m. In addition, carolers will be serenading shoppers with Christmas carols and holiday songs throughout the evening. “Peoples Bank Theatre is thrilled to be the sponsor of this special Moonlight Madness First Friday,” said Drew Tanner, Marketing Director for the Peoples Bank Theatre. To thank downtown shoppers, the Peoples Bank Theatre will be giving away a $200 gift certificate to the theatre. Every $10 spent at participating shops will earn a raffle ticket, and one lucky winner will take home this extraordinary gift. 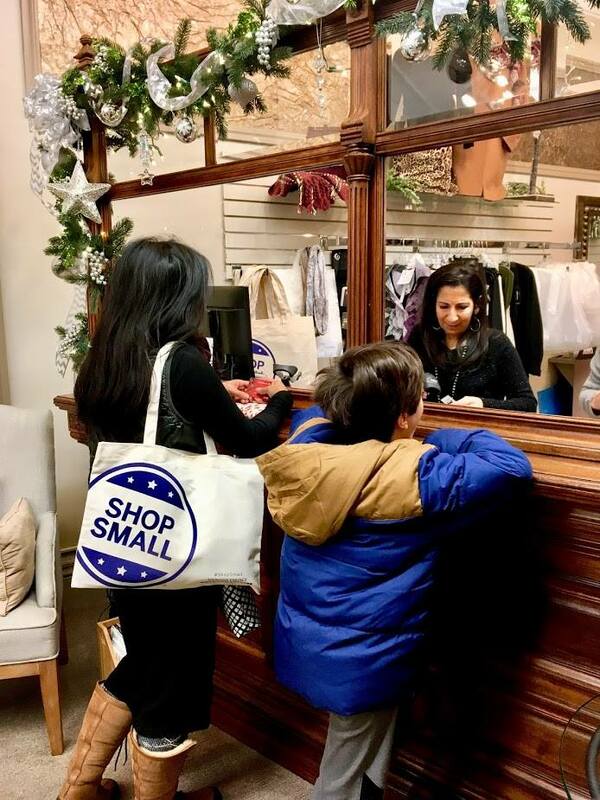 Grab your friends and family members, make your holiday shopping lists, check them twice, and join Marietta Main Street downtown to celebrate the holiday season and small business together!